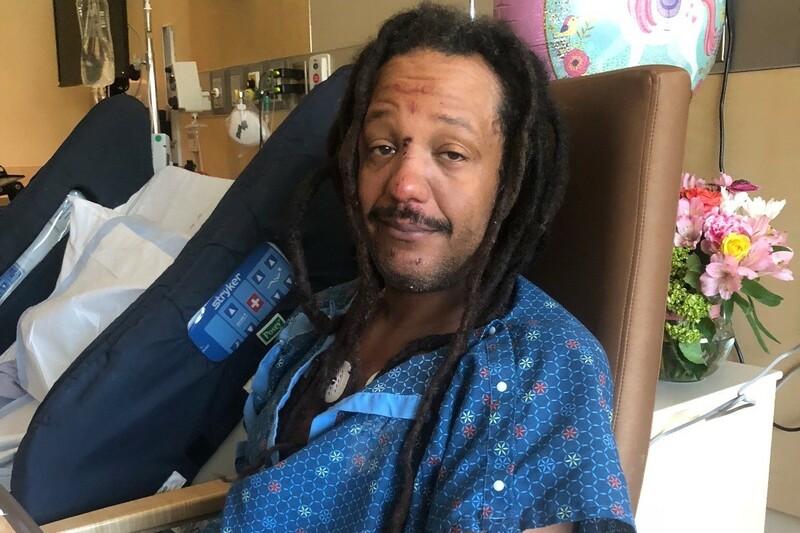 Joe Allen Jr. was struck in the face with a rock while at the Gorge. Two men suffered head injuries after they were attacked and beaten with rocks this past Saturday night during a Phish concert at the Gorge Amphitheater, according to the Grant County Sheriff's Office. Neither victim, however, could identify who attacked them. The Grant County Sheriff's Office is asking for help from anyone who witnessed the alleged assaults. One victim, Samir Poles, from Colorado, shared his account of what happened on social media. He says he has been going to see Phish, his "favorite band," since June of 1995. He says he was walking toward the bathroom when a man put a "bowling ball sized rock thru my face," before he lost consciousness. "I wake up on the ground gushing blood through the hole in my mouth where my teeth used to be," he writes. He was taken to the medical tent. Minutes later, he recalls being joined in the tent by another victim, 46-year-old Joe Allen Jr., from Michigan. The attacks occurred around the same time, "but at locations far apart from one another inside the concert venue," the Sheriff's Office says. One attack took place near the stage, and the other up on the hill. Both men were struck with rocks. The victims do not know each other. 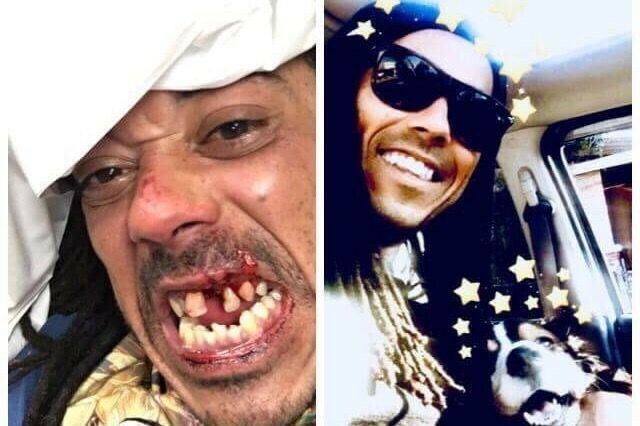 According to a GoFundMe page for Poles, he was rushed to the hospital with a broken palate and lost teeth. In a public Facebook post this morning, Poles wrote that he is "meeting with a detective for the first time this morning right before I go into the first of many surgeries I will need to fix my mouth." The other man, Allen, was treated for a head injury and is recovering at a hospital in Wenatchee. Allen is experiencing numbness in his hands and has not been able to walk on his own since the attack, according to his GoFundMePage. He also has a fractured skull and "needs to do a lot of rehab at a neurological facility." The incidents stirred speculation on social media. Concertgoers for the three-night-run at the Gorge reported seeing neo-Nazis busted by sheriff's deputies for selling nitrous, which led to more speculation that the neo-Nazis were responsible for the assaults. But the Grant County Sheriff's Office can't currently connect neo-Nazis to the alleged assaults, says spokesman Kyle Foreman. He confirmed that people were asked to leave the concert for selling nitrous, but he is "not aware" of any arrests from the incident, or if those people had any affiliations with neo-Nazis. And he doesn't know if those people played any role in the assaults. Anyone who witnessed first-hand either of the assaults can contact the Grant County Sheriff's Office at 762-1160, or send information to crimetips@grantcountywa.gov.